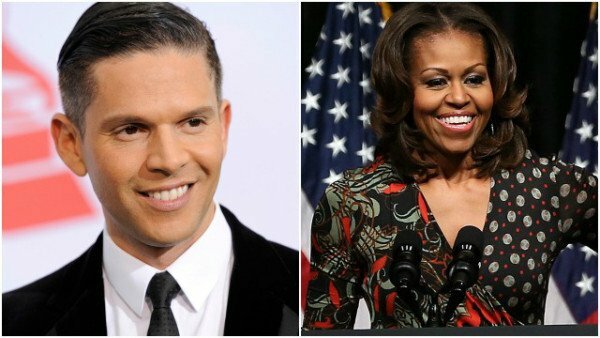 Rodner Figueroa has apologized in an open letter after likening Michelle Obama to a character from the film Planet of the Apes. He made the remarks while commenting on an internet video about a make-up artist who transforms himself into various celebrities. The fired Univision TV presenter said his remarks were meant to be critical of the artist’s work, not an attack on the first lady. Univision said the remarks were “completely reprehensible”. “Well, watch out, you know that Michelle Obama looks like she’s from the cast of <<Planet of the Apes>>, the movie,” Rodner Figueroa said in a live broadcast on March 11 during a segment on the top-rated Spanish-language network in the US. The show’s other hosts immediately challenged the remark and commented that Michelle Obama was very attractive. “But it is true,” Rodner Figueroa said in response. He went on to ask Michelle Obama for forgiveness and accepted responsibility for the remarks that could be “interpreted as offensive or disrespectful to you personally, or to any minority in the times we live”. Rodner Figueroa also noted that he voted for President Barack Obama during the previous two elections, and made reference to his own multi-racial background. Michelle Obama’s office has not responded to the controversial remarks or the apology. Rodner Figueroa won a Daytime Emmy Award in 2014 for his work. He worked for Univision for 17 years.